An intensive 60-hour 3 Phase training program that teaches your School Security Officer how to act and respond like an elite professional . . . using the most update-to-date knowledge taken from science on the body’s natural reactions under duress and case studies of modern dynamic critical incidents . . . using “real-time” pressure drills to teach appropriate and proper legal responses that keep faculty and students safe . . . Your life is filled with difficult decisions. And each year, the level of difficulty for those decisions seems to increase. It is beyond our wildest imaginations that we have come to a point where principals and board of education members must decide on the best, safest way to bring armed security officers to our schools. However, you have been asked to do just that. I remember an article I read in the New York Times in the mid-80’s. The reporter asked teachers at an urban junior high school to name the top 5 problems they faced as teachers. Sadly, we’ve come a long way. I want to present to you a school security officer training program that will help make your decision process easier. A program that will give you peace of mind as you decide the best way to prepare your security officer to be armed on campus. We offer an intensive, 60-hour Commissioned School Security Officer training program. Our program consists of 3 phases that take you through 8 hours of Phase I to become a Private Security Officer, 16 hours of Phase II to qualify you as a Certified Security Officer, and 36 hours of Phase III to become a Certified School Security Officer. The shooting portion of Phase III is based upon the principles of Intuitive Defensive Shooting. (A program used to train military, law enforcement, first responders, and conscientious defensive shooters worldwide.) These principles are designed to help your security officer become efficient with a defensive firearm in the event of a Dynamic Critical Incident. There are many things we can’t control. But we can control the aftermath of a critical incident. The choices we make during training help create conditions that follow the law and save lives. There is a reason the most elite among us train the most. More training equals more appropriate response under duress. That’s why our course offers 16-hours of Advanced Law Enforcement Rapid Response Training (ALERRT), Civilian Response to Active Shooter Event (CRASE), and Alert, Lockdown, Inform, Counter, Evacuate (A.L.I.C.E.) Training. Your commissioned officer will receive the best research-based active shooter training in the state of Arkansas. We familiarize your officers with how to think rationally during a high-panic situation. They are trained not to be overwhelmed. Most people think a response always equals the use of a gun. That is not always the case. We teach ways of stopping threats by lethal and non-lethal means. We teach your officer weapon disarming techniques. In addition to ALERRT/CRASE/ALICE training, your officer will receive a minimum of 10-hours of active shooter simulations and live-fire practice not just qualifying but by putting several hundred rounds downrange in a defensive shooting posture built around the Intuitive Defensive Shooting program concepts. •	Shoot/don’t shoot drills (critical for clear and legal thinking). But there is more . . .
Our program will teach your officer the do’s and don’ts of trauma care. Each officer that completes our course will have a thorough knowledge of wound management as it relates to active shooter situations and they will receive a CPR certification. Clear thinking and intensive training save lives. In the unfortunate event of a tragedy, when it is time to answer questions – you want the peace of mind in being able to confidently say that you did everything possible to train your security officer to the FULLEST. I am not one to criticize other training methods. There are many good people in our state with their hearts in the right place. I merely ask you to compare our program with other programs in the state. Decide for yourself. Remember, our training also includes 8-hours of study in relation to the legal issues of arrests and detentions. We make it a point to have your officer study the civil and criminal penalties of non-deadly force and deadly force. I ask a simple question: Would you like a school security officer that has received 60-hours of advanced training used by first responders (studying previous real-life situations)? We are confident when you compare our training to other services, you will see the clear advantage to giving your commissioned school security officer advanced training. After all, we want the best, most trained security officers standing watch over our children. In the unfortunate event of a critical situation, you want the most prepared, the most trained school security officer to respond. To learn more about how to implement this training for your organization, click here to contact us. 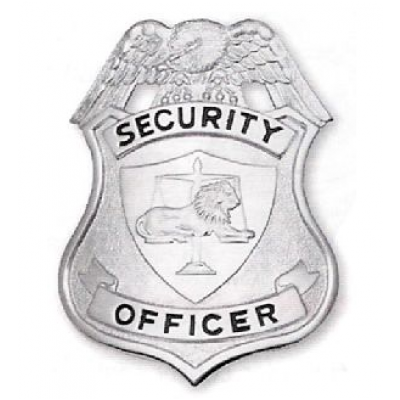 Private Security Officer (PSO) – An applicant for a PSO credential must complete Phase I training requirements and pass an examination administered by the Training Administrator, Assistant Training Administrator, or Trainer. Commissioned Security Officer (CSO) - An applicant for a CSO credential must complete Phase I and Phase II training requirements and pass an examination administered by the Training Administrator, Assistant Training Administrator, or Trainer. Commissioned School Security Officer (CSSO) – An applicant for a CSSO credential must complete Phase I, Phase II, and Phase III training requirements and pass an examination administered by the Training Administrator, Assistant Training Administrator, or Trainer. Any individual holding a CSSO commission is responsible for ensuring the dissemination of all security plans instituted or adopted by the school to other employees of the school. (3) Appropriate actions for PSOs. b. Reporting requirements; and c. Penalties for violations. (3) Practice of writing one or more reports and critique by the instructor. (x) Rifle or shotgun qualification course – required if a CSO is required to carry a rifle or shotgun during the course of their employment – the course must mirror the www.clest.org rifle/shotgun qualification course. (ii) Incorporating security response with law enforcement. (ii) CPR training and certification. (1) Note: prior CPR and/or wound management training or certification will not be accepted. CPR and wound management training and certification must be taught during Phase III training to ensure that the certification will not expire during the credential period. (f) Weapon Retention – blocks, strikes, and maneuvers designed to maintain possession and control of a firearm from the holster and from the drawn position. Commissioned School Security Officer in the State of Arkansas.